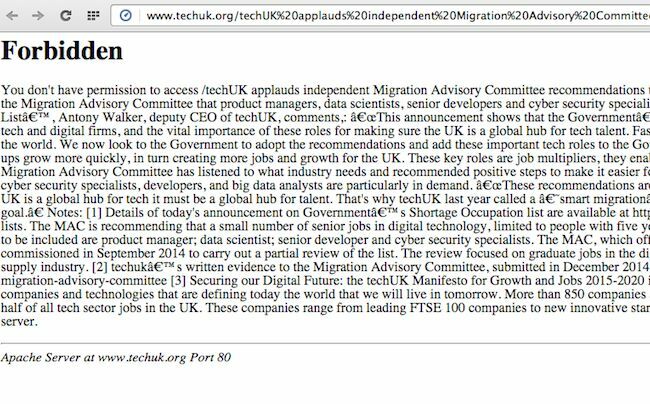 The government's migration quango says the UK needs more immigrants from outside the EU in four key IT areas, namely senior developers, product managers, network security specialists and "data scientists"*. After listening to pleas from employers, these four job categories should should be added to the "Shortage Occupation List", says the Migration Advisory Committee, which has suggested they should be added to Tier One of the list, currently reserved for investors, CEOs and post-grads. "Might there be an argument to resurrect – though in more targeted form – a Tier 1 route and shift the balance back toward supply-led skilled migration?," asks MAC chairman David Metcalfe in the recommendations (PDF). The MAC heard that "start up and scale up" employers can't get the staff from the UK or inside the EU. Alongside ballet dancers, the Tier Two category currently includes chip design and test engineers, computer animation software developers, maths and science teachers, and experienced welders. (Here's the current list (PDF)). Naturally, employers and their lobby groups are delighted. “UK tech companies are struggling to find the right people to take their business to the next level, and it’s not just in the UK that there’s an increasing shortage of talent to fill all these positions," said Sean Duffy, managing director and Head of Barclays’ Technology, Media and Telecoms team, in a canned statement. We asked services trade group TechUK (manifesto here) why, if we could just import cheap labour, did we need to waste money on science, maths and technical subjects? Surely if we could import the labour cheaper, we could cut this wasteful spending. Our "kids" wouldn't need to "learn to code"**, perhaps. *: What's a data scientist? According the well-worn old joke, it's "the person in the room with the worst stats skills and the worst understanding of technology."